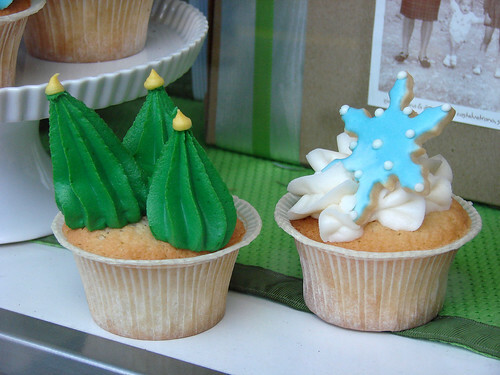 Blondie and Brownie: Adorable Christmas Cupcakes! 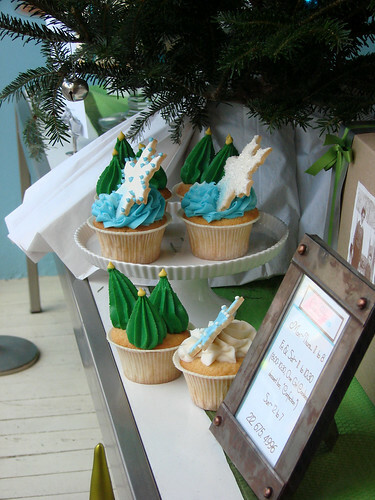 Alas, they didn't have any of the cute Christmas tree cupcakes for sale at the time. Sadness. So we consoled ourselves with a couple of whoopie pies and Robyn offered up bites of her regular vanilla cupcake with vanilla frosting ($2.00). The cake was moist yet still toothsome and the frosting wasn't overpoweringly sweet. Yum. Yesterday I popped in and again they didn't have the little Christmas tree cupcakes but said that they might be making some for sale that afternoon. I don't know what it is about these cupcakes...maybe it's the idea of eating several trees worth of frosting awakens my inner cupcake dinosaur. 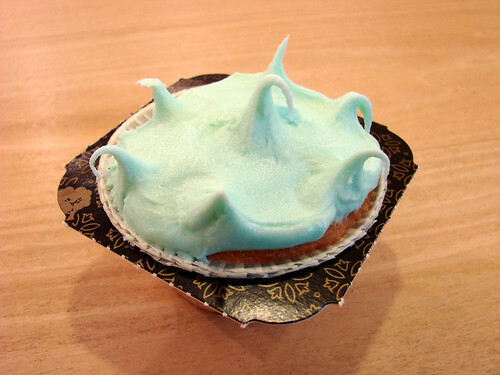 It's a cute idea for decorating cupcakes for the season and if I can't make it back to snag some, I might give it a try myself at home. These look really cute! Another place I shall have to try and visit on my trip to NY! so many cupcakes places so little time!